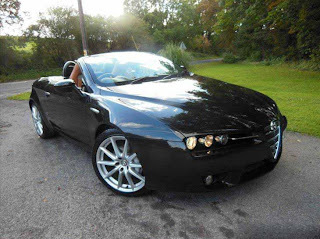 The Alfa Romeo Brera/Spider (Type 939) is a sports car manufactured under the Italian brand Alfa Romeo between 2005 and 2010. The Spider roadster was produced between 2006 to 2010. Both models were built by Pininfarina. 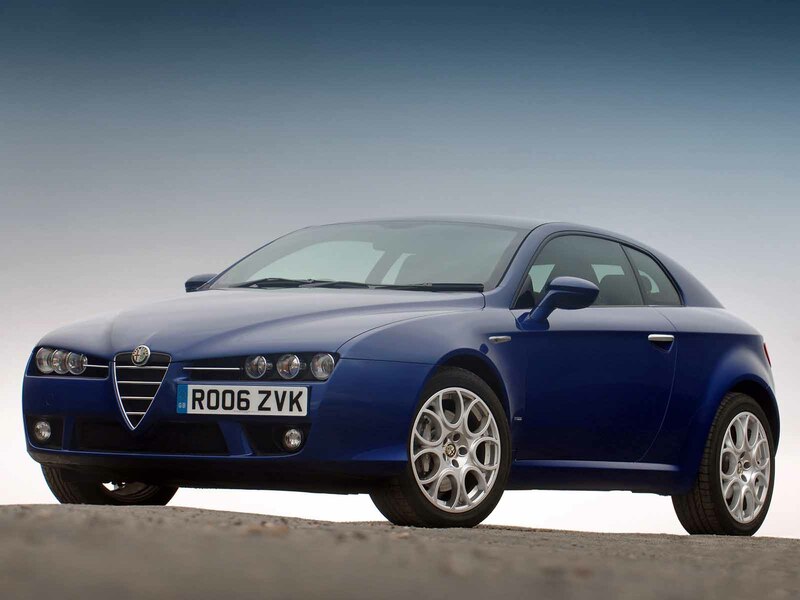 12,488 units of the Spider and 21,786 units of the Brera were built. Production of both models ended in late 2010, although remaining stock continued into 2011. 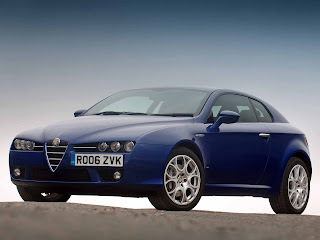 The Brera originally appeared as a concept car at the 2002 Geneva Motor Show. It was designed by Giorgetto Giugiaro at Italdesign Giugiaro. The concept version was powered with a Maserati V8 engine producing around 400 PS (290 kW; 390 hp). 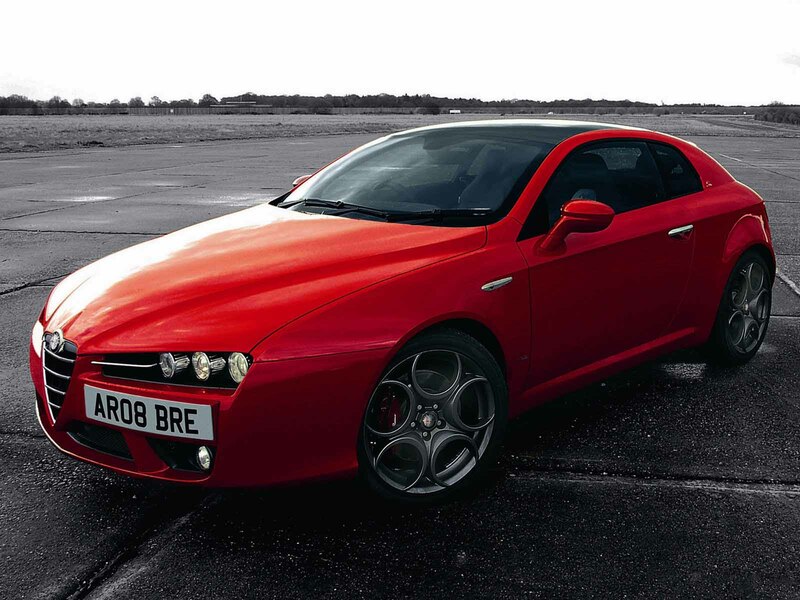 The Brera was widely acclaimed, and production plans were subsequently announced for 2005. 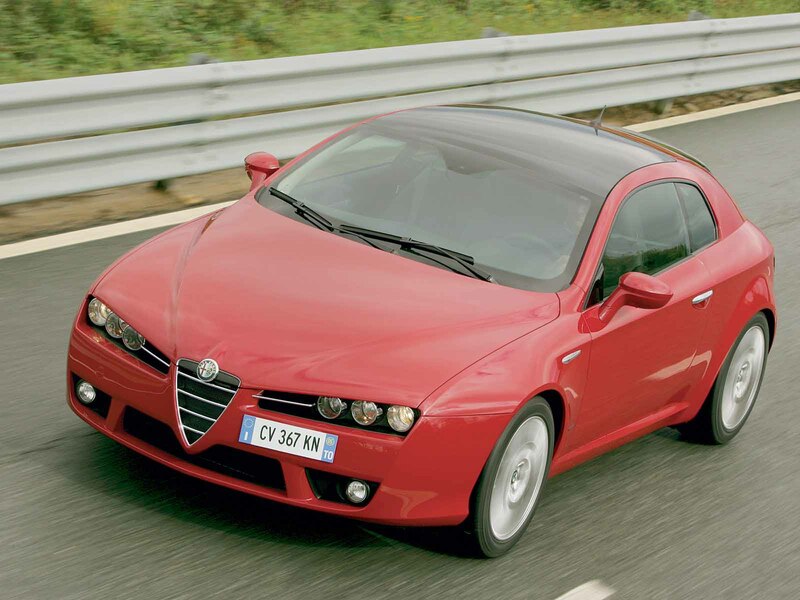 The Alfa Romeo Brera was introduced in production form at the 2005 Geneva Motor Show. 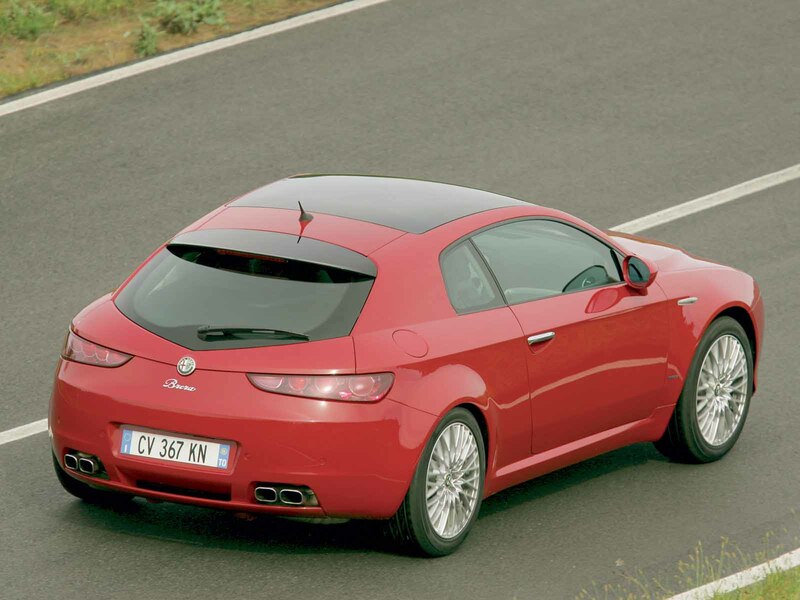 It maintained the original's exterior appearance almost exactly but on a much smaller scale, becoming a mid-size coupe on the GM/Fiat Premium platform (shared with the Alfa Romeo 159), and designed to replace the outgoing GTV. 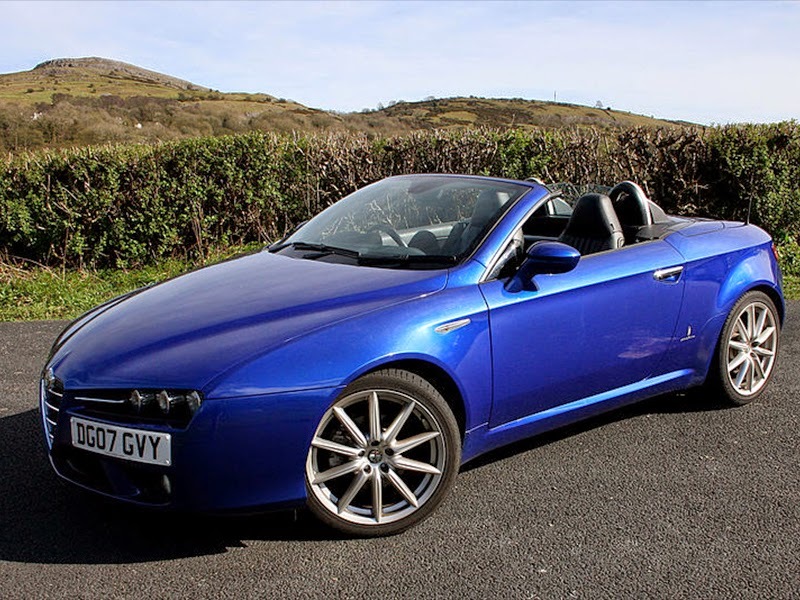 A convertible Spider version of the Brera was also announced, to be launched shortly after the coupe and to replace the existing GTV-based Spider. In Europe, the Brera is available with two petrol engines, the 185 PS (136 kW; 182 hp) 2.2-litre JTS and 260 PS (190 kW; 260 hp) 3.2-litre V6; and a 210 PS (150 kW; 210 hp) 2.4-litre JTD turbodiesel. Cars with the diesel or 2.2 petrol are front-wheel drive, whilst the V6 comes with a Torsen four-wheel drive system similar to the 156 and 159's Q4. For the "model year" 2008 Alfa Romeo Brera/Spider changes were made to the mechanics and the interiors of the cars. The 3.2 litre V6 version will now be offered in front wheel drive, as well as a four wheel drive version, allowing for a top speed of 250 kilometres per hour (160 mph). All model variants will be fitted with electronic Q2 limited slip differential. By using more aluminium parts a weight reduction of several kilos is achieved. These new versions were introduced at the Geneva Motor Show in 2008. For "model year" 2009 Alfa Romeo introduced a new turbocharged petrol engine badged as "TBi", this 1742 cc unit has direct injection and variable valve timing in both inlet and exhaust cams. This new engine has 200 PS (147 kW; 197 hp) and 320 Nm (240 lbft) of torque. In Spring 2008 the Brera 'S' Special Edition was announced. This Alfa Romeo-approved British-only limited-run version was developed by British engineering specialists Prodrive and was intended to address criticism regarding the handling of the standard car. Selected suspension and chassis components and settings of the 'S' have been amended from the standard car, altering the handling characteristics. Alfa Romeo and Prodrive had previously collaborated in motorsport, campaigning an Alfa Romeo 155 in the BTCC during 1994 and 1995. In 2009, Alfa Romeo released a limited edition of the Brera and Spider in association with Italia Independent, an Italian design company. Limited to 900 units and named after Alfa Romeo's partner in the venture, the Italia Independent edition of the Brera was offered with opaque-finish "titanium" paintwork, 18" "turbine" style alloy wheels and an aluminium fuel-filler cap. The Italia Independent was offered with 125 kW (170 PS) 2.0 JTDM, 154 kW (210 PS) 2.4 JTDM diesel,157 kW (214 PS) 2.4 JTDM diesel (2009-10)l or 147 kW (200 PS) 1.8 TBi, 136 kW (185 PS) 2.2 JTS, 191 kW (260 PS) 3.2 V6 petrol engines and six-speed transmission. Manual, "Selespeed" or automatic Q-Tronic transmission options were offered, and the V6 engined-car was also available with Alfa Romeo's Q4 all-wheel drive system. Before it was released, the Alfa Brera concept car was voted "Best of Show" by Autoweek magazine at the Geneva Motor Show, "Best of Show" in the prototype category at the Villa d’Este Concorso D’Eleganze, it picked up two prizes at Challenge Bibendum 2002, and "the Most Fascinating Car" award at the Super Car Rally 2002 form Paris to Monte Carlo. Best Sports/Coupe - What Diesel Car? The New Spider version (Type 939) was introduced at the 2006 Geneva Motor Show, where it also received "Cabrio of the Year" award. 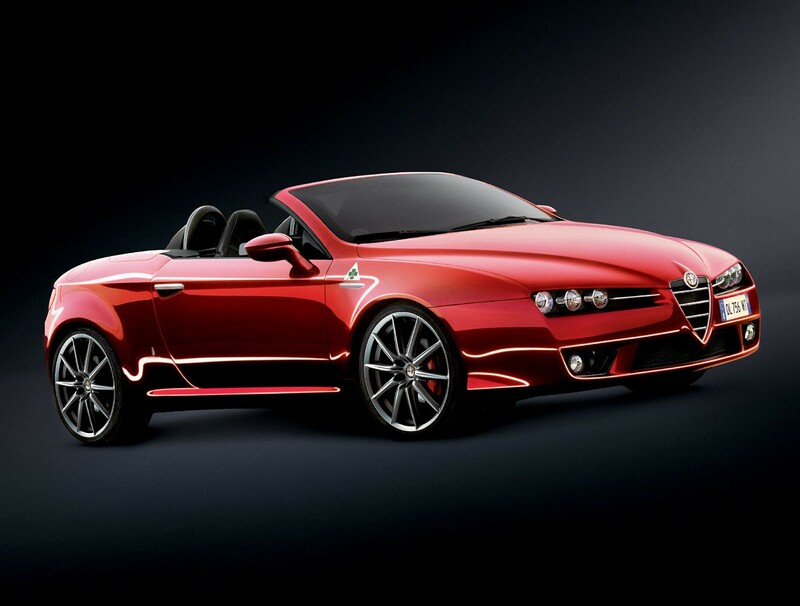 Spider is based on the Brera coupe but is a pure 2-seater convertible. At the beginning there were two engine options available: the 2.2L straight-4 and 3.2L V6 JTS engines, and the JTD common rail turbodiesel was introduced at 2007 Geneva Motor Show. This car replaced Spider 916 model, introduced in 1995. This Spider version can be seen as 6th generation of Alfa Spiders, the first version of which was released in 1966. Production ceased in November 2010. The Italia Independent was offered with 125 kW (170 PS) 2.0 JTDM, 154 kW (210 PS) 2.4 JTDM diesel, JTDM, 157 kW (214 PS) 2.4 JTDM diesel or 147 kW (200 PS) 1.8 TBi, 136 kW (185 PS) 2.2 JTS or 191 kW (260 PS) 3.2 V6 petrol engines and six-speed transmission. Manual, "Selespeed" or automatic Q-Tronic transmission options were offered, and the V6 engined-car was also available with Alfa Romeo's Q4 all-wheel drive system. Alfa Romeo has created a special edition of its Spider convertible in order to commemorate the historic Mille Miglia 1,000 mile race that takes place in Italy annually. The carmaker build just 11 examples of the 'Spider Mille Miglia' to mark the 11 victories it's had in the famous Italian race, which heralded the rise of the original sports grand tourer. While there are no performance increases, the Spider Mille Miglia is based on the standard 3.2 V6 powerplant that outputs 260 PS (191 kW; 256 hp). Rather than performance upgrades, each special edition features a silver plate that outlines one of Alfa Romeo's victories between 1928 and 1947. The special edition Alfa also gets an exclusive, bright red paintjob called 'Rosso 8C' and a 'Quadrifoglio' logo (a four-leaf clover) on its front wings, as well as red stitching for the black leather seats. Additionally the anti-roll bars are painted in red rather than usual silver. The Alfa Spider Limited Edition features a choice of three color combinations (Carbonio Black, Alfa Red, Ghiaccio White) plus 19 inch alloy wheels, leather upholstery, electrically adjustable and heated memory front seats and door mirrors. The car is also now available with Fiat Group’s Blue&Me hands-free system with voice recognition and media player. 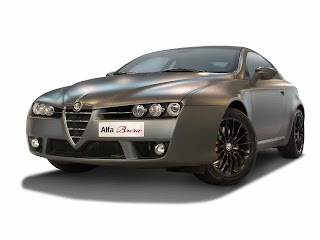 Bespoke colours for the Alfa Spider Limited Edition include a Carbonio Black version with a natural leather upholstery while the Alfa Red exterior paintwork is matched to a black leather interior. The Ghiaccio White colour scheme comes with a choice of either black or natural leather upholstery. 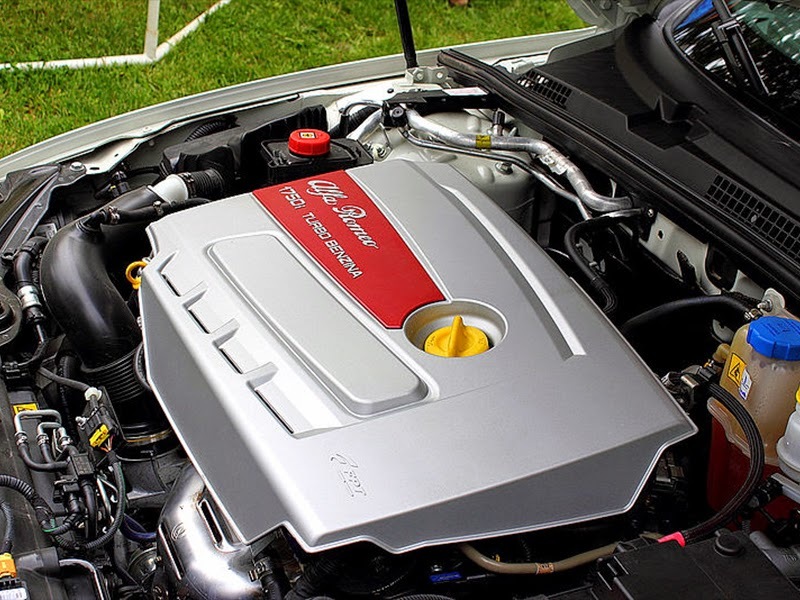 Under the hood sits the familiar 185hp 2.2 L JTS petrol engine, which sees the car accelerate from 0-62 mph in about 8.8 seconds and reach a top speed of more than 139 mph (224 km/h). The new limited edition was on sale in UK only from 2008 with prices starting at £25,500 ($50,000). Last updated on 22 February 2014 at 03:19.